An award of appreciation Received by Shri Anurag Mathur, Dir-In-Charge, NIELIT Agartala by Secretary MeitY Govt. 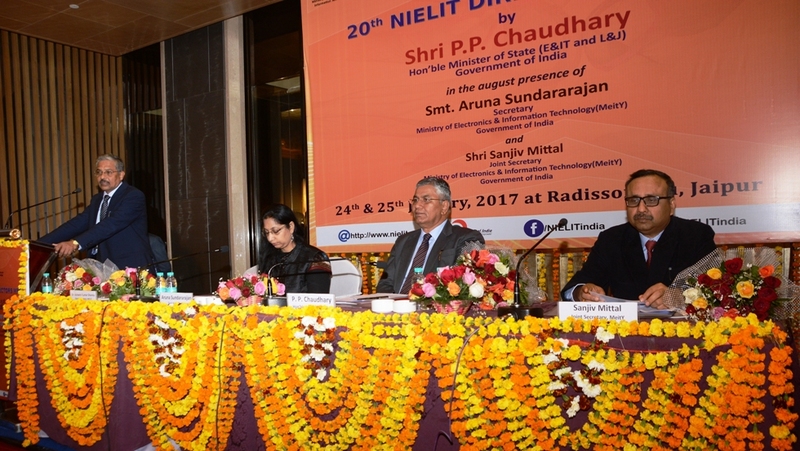 of India Mrs. Aruna Sundarajan at 20th Directors Meet of NIELIT Held at Radisson Blu Jaipur during 24-25th Jan 2017, the event being inaugurated by Hon'ble Union Minister of State for Law & Justice and Electronics & Information Technology, Shri P.P. Chaudhary Govt. 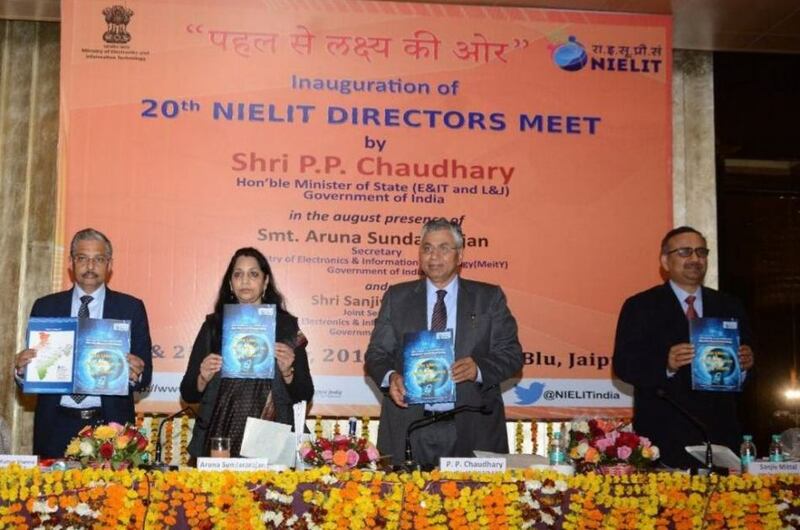 of India in the August presence of Joint Secretary MeitY Shri Sanjeev Mittal and DG NIELIT Dr. Ashwini Kumar Sharma. 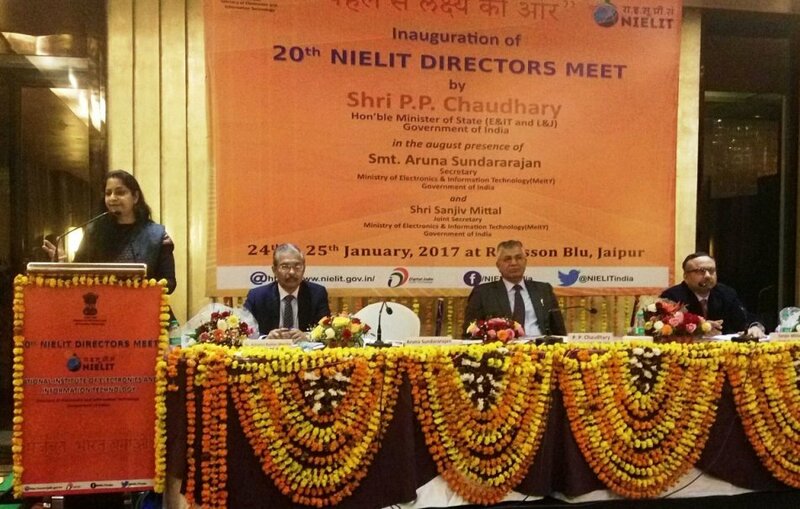 Hon’ble MoS (Electronics & IT and Law & Justice, GoI) Shri PP Chaudhary delivering Keynote Address during the inaugural session of 20th NIELIT Directors Meet at Jaipur today. In her address Ms. Aruna Sundararajan, Secretary, MeitY, Government of India congratulated and encouraged NIELIT to scale even greater heights while ensuring quality. Shri. 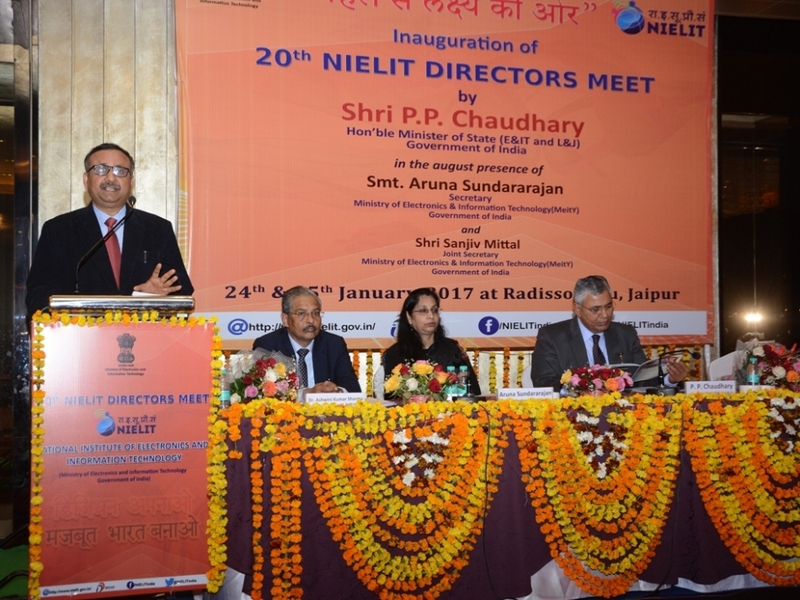 Sanjiv Mittal, Joint Secretary, MeitY, Government of India extolled NIELIT to make even greater inroads by ensuring at least one own Centre in each State. Dr. Ashwini Kumar Sharma, DG, NIELIT outlined ‘growth drivers’ & expressed gratitude to Hon’ble MoS (Electronics & IT and Law & Justice, GoI) Sh. PP Chaudhary, Smt. Aruna Sundararajan, Secretary, MeitY, Government of India & Sh. Sanjiv Mittal, JS, MeitY for vision & support. Mobile App of NIELIT Digital Literacy Courses launched in 10 Indian languages to facilitate rural students. 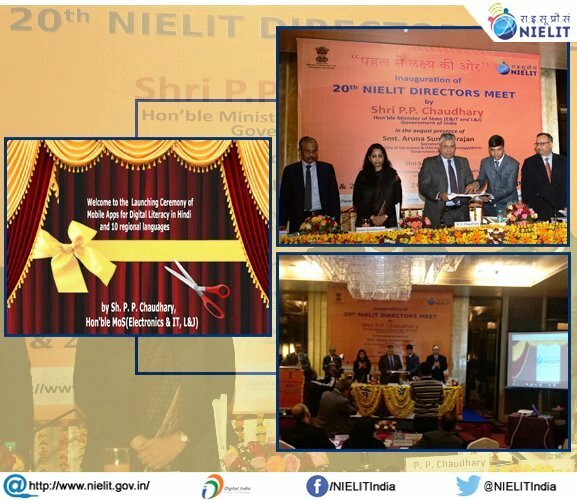 Compendium of PAN India projects on Skilling & Capacity Building unveiled and NIELIT’s booklet on Cyber Security courses, aimed towards equipping a common man with basic skills by Hon’ble MoS (Electronics & IT and Law & Justice, GoI) Sh. PP Chaudhary, Smt. 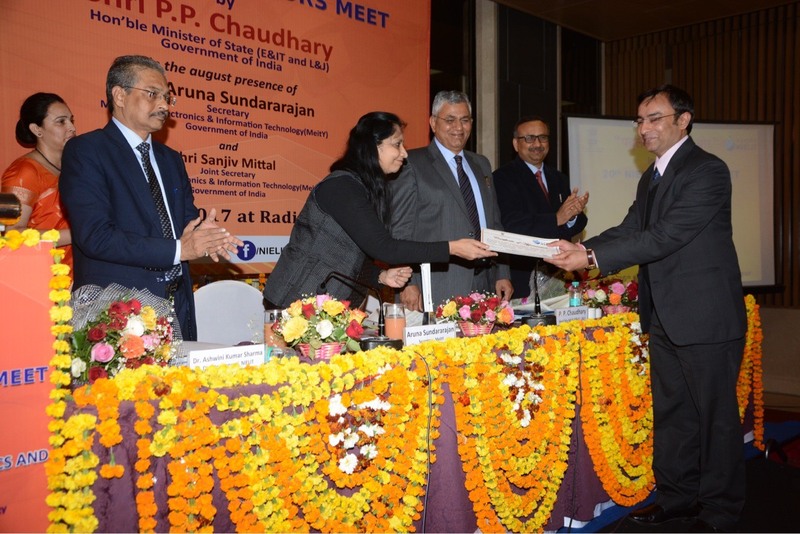 Aruna Sundararajan, Secretary, MeitY, Sh. 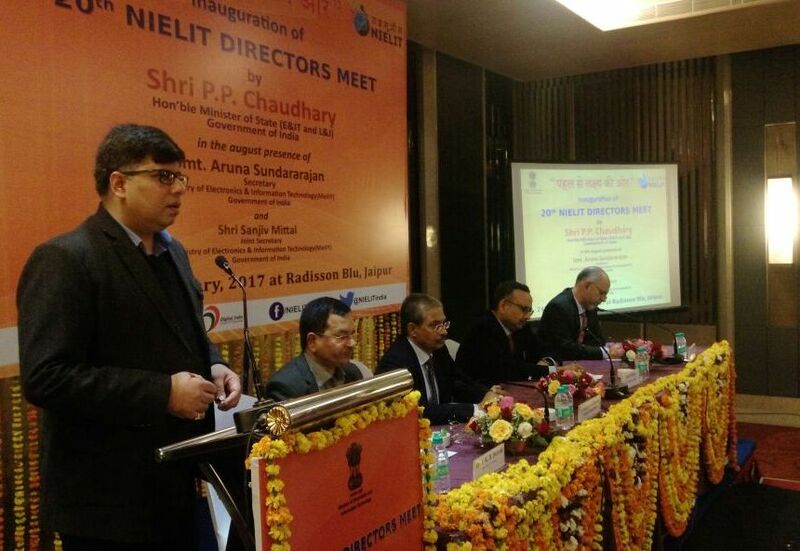 Sanjiv Mittal, JS, MeitY and Dr. Ashwini Kumar Sharma, DG, NIELIT. 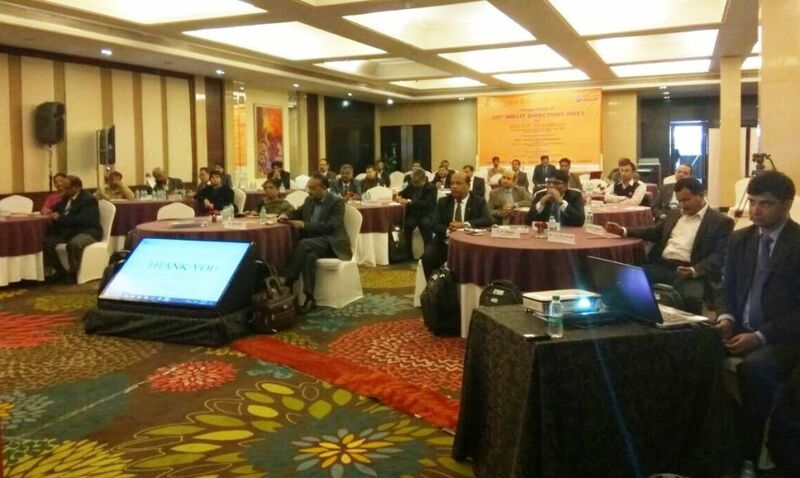 An informative talk on Cyber Security Challenges was delivered by Sh. Sharat Kaviraj, DIG, Rajasthan Police during 20th #NIELIT Directors Meet. 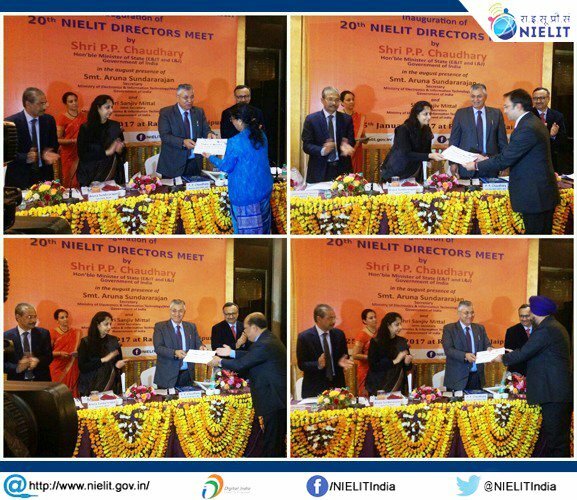 Outstanding effort by NIELIT Director/Officer acknowledged & Appreciation Certificates issued by Hon’ble MoS (Electronics & IT and Law and Justice, GoI) & Secretary, MeitY.